Free Pick-Up Service in your Hotel is included for these Areas: Khao Lak Hotels and Resorts. The Transfer Fee is already included in the price of the tour. In between 6.30 am and 7.00 am we will pick you up from hotel in Khao Lak to take you to Phuket to the Tour departure lounge office at the famous Royal Phuket Marina. 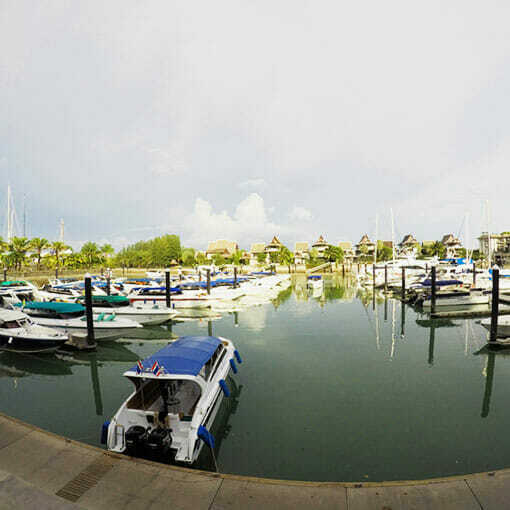 About 9.00 am, after a short briefing and a light breakfast at your disposal, we will leave from the marina to go to Phi Phi Islands and start the Khao Lak to Phi Phi Islands and Bamboo Island. 10.00 am we first arrive at Bamboo Island where we will relax on the white sandy beach and we will enjoy some snorkeling free time. 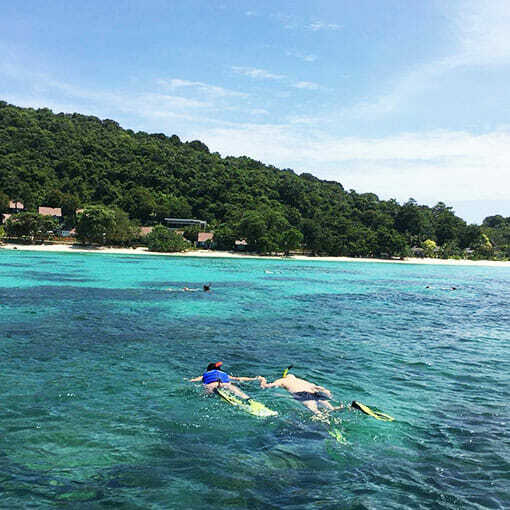 Following Bamboo island we move to enjoy snorkeling at the lovely sandy beach of Yong Kasem (Monkey Beach), we will also explore many delights at famous Camel Rock beach (Nui Bay) having fun taking pictures with it’s beautiful scenery. Coming 1.30 pm we will be at Phi Phi Don to enjoy a sumptuous Lunch at a nice beachside restaurant. 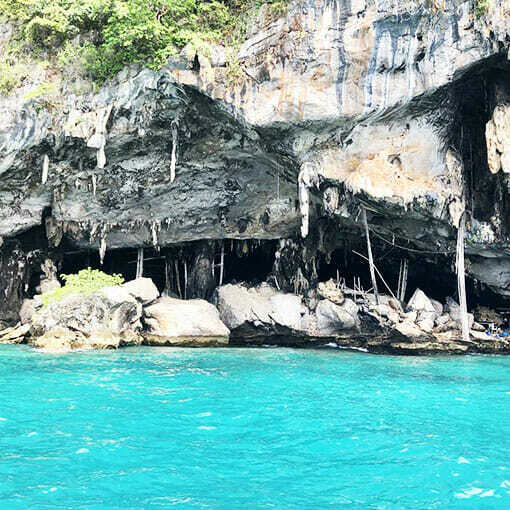 Let’s go than to Phi Phi Leh Island to visit the Viking Cave and the Pileh Lagoon, Maya Bay -Made actually famous by the movie “The Beach”. About 4.30 pm we will be leaving from Phi Phi Leh to return to Royal Phuket Marina, arriving back to the Pier we will proceed transfer back to your hotel at Khao Lak. Endure an excellent sight seeing experience, be amazed with beautiful views of Maya Bay and wonderful surroundings of Phi Phi Leh, love spare time and a dinner in Phi Phi Don, spending the remainder of times on the excursion relaxing on the sand beach and swimming and angling at the northwestern seas of Phi Phi Island along with Bamboo Island. 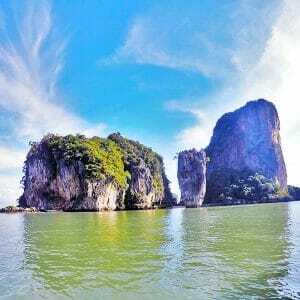 Per day trip out of Phuket with destination Phi Phi Island and Bamboo island is on a monthly basis popular for many vacationers that do not desire to remain sleeping in Phi Phi Island. The islands are 48 km southeast of Phuket, the trip from speed boat only takes approximately 1 hour. The Islands are actual hottest tour destinations for all those travelers seeking a magic picture. Phi Phi and Bamboo islands really are all amazing with smooth white sand and crystal clear drinking water. All these waters and islands are a best place to participate most ordinary water activities like swimming and snorkeling in waters and lagoon which will seem like clear pools. The magnificent walls of limestone cliffs consistently provide excellent areas to shoot memorable shots of photographs, in Phi Phi Island and Bamboo Island all locations are completely magnificent and unique. 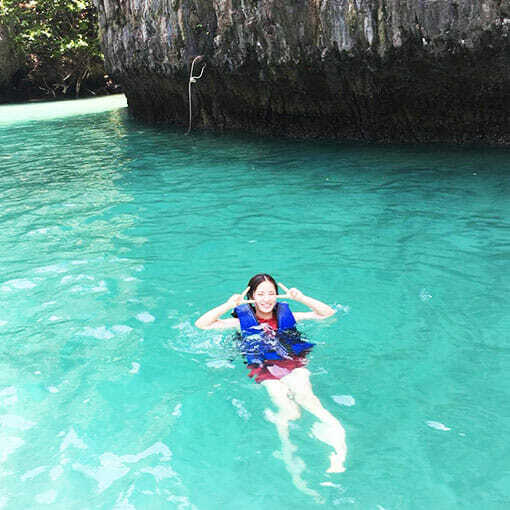 Enjoy Khao Lak to Phi Phi Islands and Bamboo Island by Speedboat and this natural paradise with its serenity. Free Transfer from / to Hotel is included for these Areas: Khao Lak Hotels and Resorts. The Transfer Fee is already included in the price of the tour. Free transfers are included in your Hotel for these Areas: Khao Lak Hotels and Resorts. The Transfer Fee is already included in the price of the tour.